To the bold men and women who decided to Lion Themselves, you’ve entered an exclusive club. 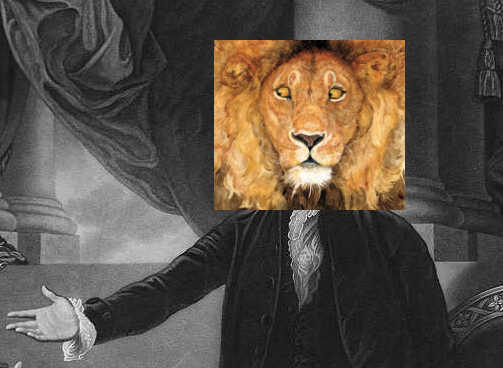 Few can say that they consort with the likes of George Washington Lion and Kevin Feder-lion. 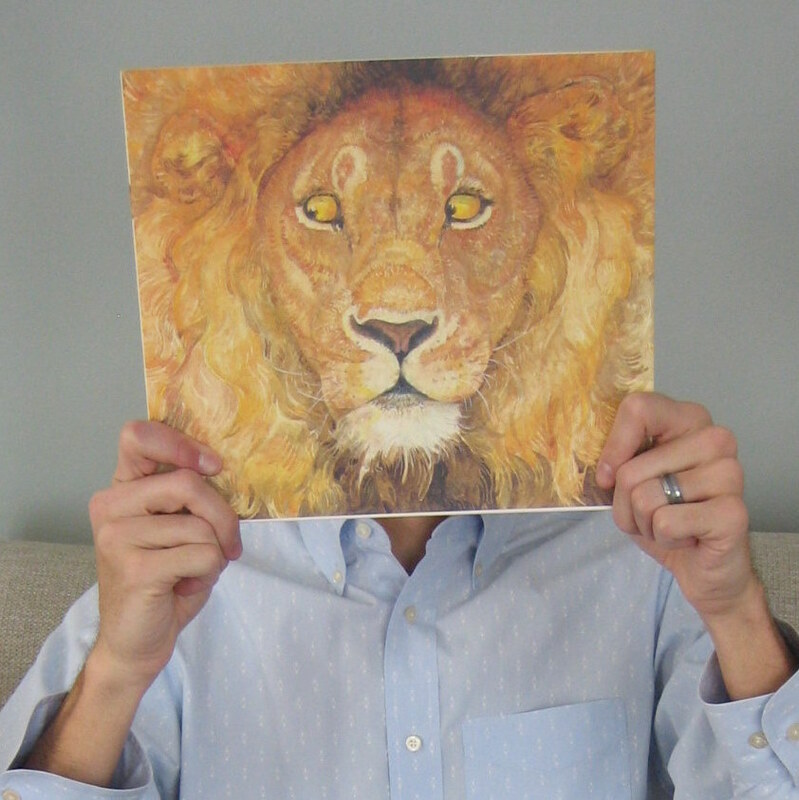 Interested in declaring your support for The Lion & the Mouse as the Caldecott awards approach? Bored? Click here to give it a shot. Email me or comment if you take part. I’ll be adding to the gallery as more roll in. This is great. 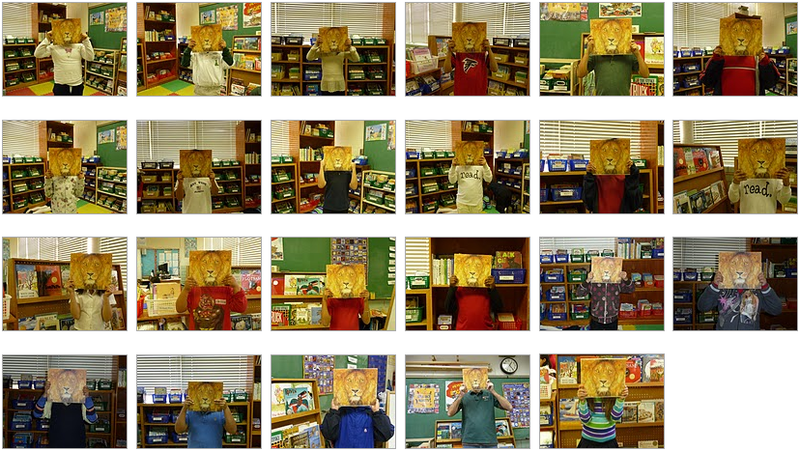 An entire class of kids (and their teacher) Lion themselves after completing a mock Caldecott. I got this photo text the other day from my friend @ckrez. 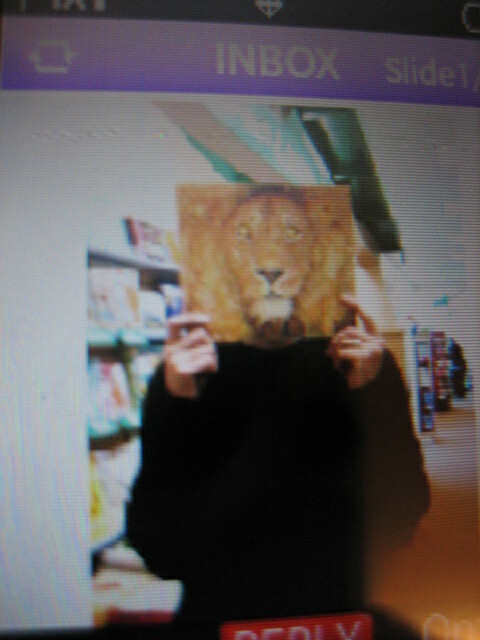 This entry comes from the blog Because to Why. 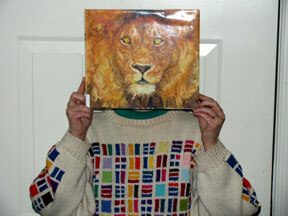 A Lion fan and a mouse fan at Brimful Curiosities. Sondra of Sonderbooks gets in on the action. 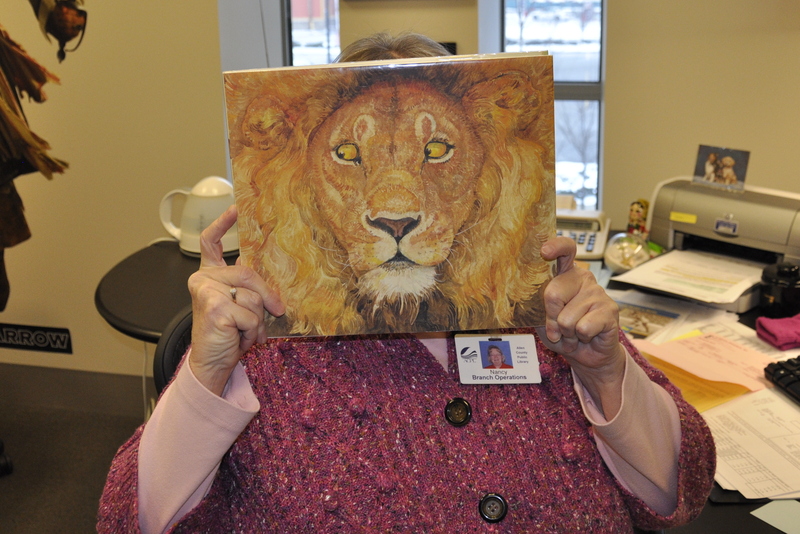 Indiana Youth Librarian Nancy is in first. great idea! My daughter took part – go Jerry! Hooray! Jerry Pinkney really won the Caldecott Medal! So well-deserved! Wow. That is awesome! I’ll be adding this to the gallery. Very cool.